Fire Modeling: Fire Modeling can be separated into two broad categories, physical and mathematical fire modeling. Physical fire modeling has been around since the dawn of man and consists of burning objects to evaluate their effects. The study of fire phenomena by utilizing mathematics began in the early 1940's. 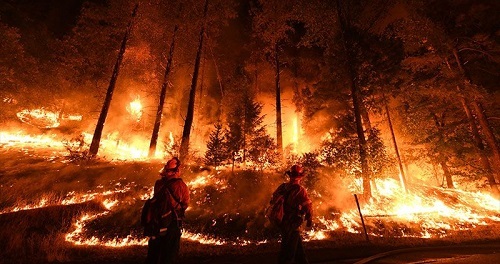 Mathematical fire modeling can further be arranged into three categories based on the types of calculations performed, including: hand calculations, zone models, and computational fluid dynamic models. There are currently no items matching "Fire Modeling".